For eating with company he can walk up one deck (which holds the bridge, VIP suite, and disco) to the nearly full-beam walnut dining table with mahogany veneer, an imposing piece of furniture. Comfortably seating 14 and set behind the two New York City tableaus, the dining space has a certain gravitas, like that of a company boardroom—you could just as easily imagine briefcases in lieu of plates on the table. 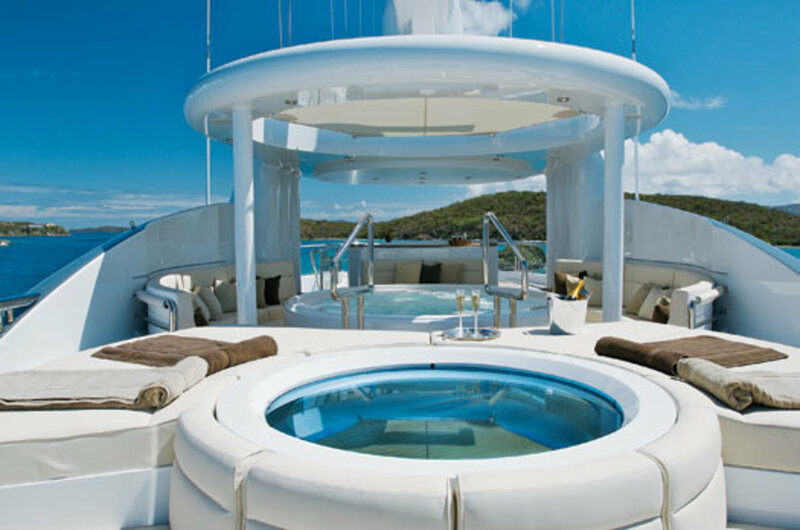 Notice the curves of the sundeck with its rounded skylight, Jacuzzi, radar arch, and surrounding settees. 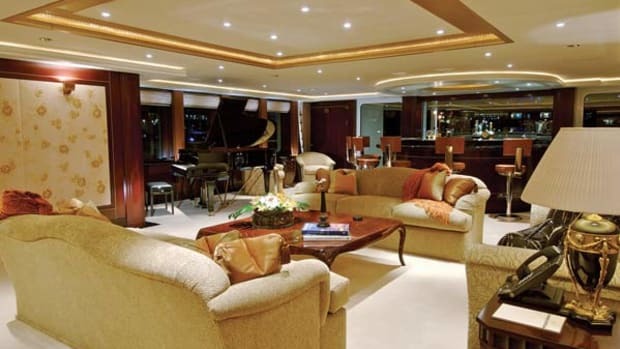 But dealmakers and family aren&apos;t the only ones who dine well aboard this yacht: The crew area on Kismet is worth noting. Unlike the cramped quarters sometimes reserved for people who make their lives upon a vessel, the crew mess on Kismet is a first-rate setup. To port a series of dining tables allow for 18-person lunches or movie-watching on the plasma TV. On the wall over the buffet sits another plasma TV; anyone who needs a snack can access the private, U-shape galley with adjoining private pantry. And for loading food onto the vessel, the crew has it easy. Instead of carrying it all through the interior, a large port-side door allows for the provisions to be loaded in en masse. The thoughtful construction of spaces that most visitors won&apos;t see continues with the engine room. In this two-deck space, the observational catwalk girding the perimeter looks down onto air-started twin Caterpillar 3512s painted in Signal White. 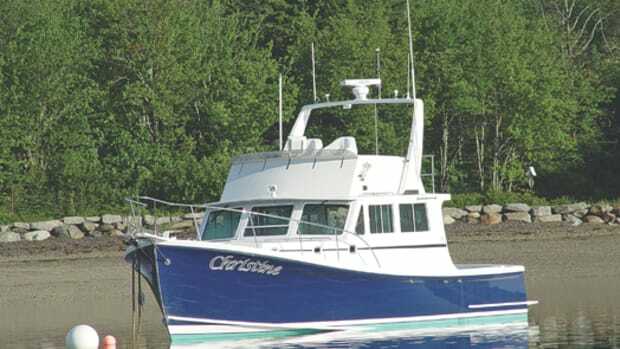 They&apos;re rated to run at 100-percent continuous output and push the vessel to a cruising speed of around 16 knots, at which speed her range is an estimated 5,000 nautical miles. Mounted above are the exhaust silencers, silver canisters each larger than a Chevy Suburban, while aft of them are three Caterpillar C18 gensets and a backup C9 genset rated at 289 kW. And all are housed not in aluminum soundshields but inside soundproofed rooms that help reduce engine-room sound levels and keep all nearby guest areas quiet as well. 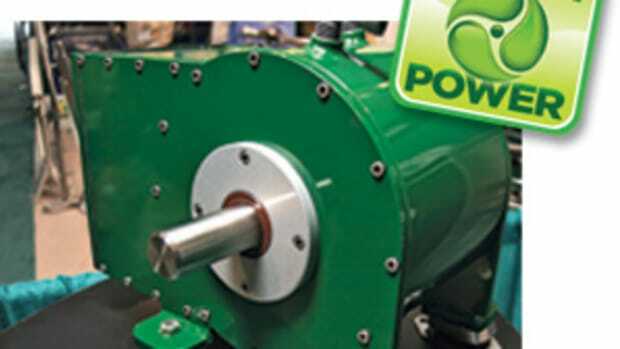 But the most interesting aspect of Kismet&apos;s electrical system is another way to silence her gensets: minimizing their use while she&apos;s in port by running shore power through a special Atlas power converter setup. A custom touchscreen allows Kismet&apos;s engineers to place a maximun draw limit on the shore power. 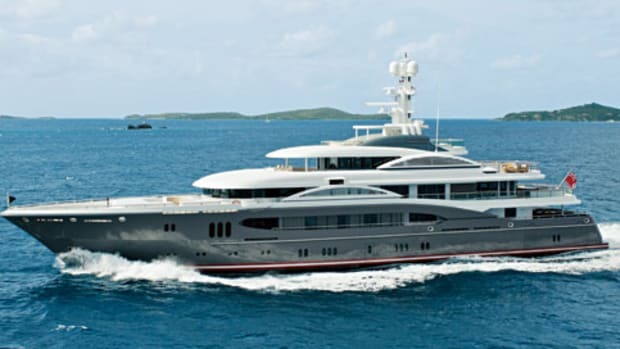 If the yacht requires more power than is available from landside hookups, the Atlas will automatically start up one of Kismet&apos;s gensets, all without any loss of electricity. This means that items like guests&apos; computers won&apos;t blink—whether they&apos;re preparing a PowerPoint or uploading vacation photos. 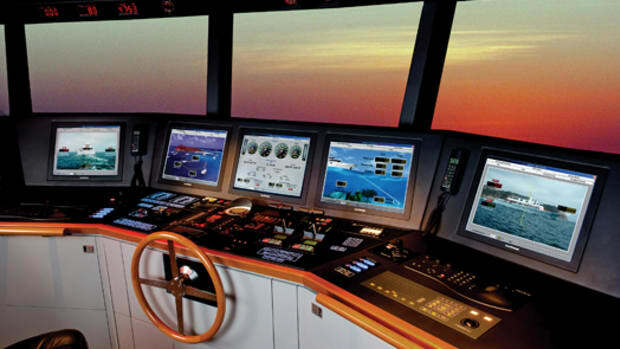 Aft of the catwalk, the control room to starboard has a German Stein & Sohn monitoring system that digitizes and tracks almost all engine-room systems, including the level, pressure, and temperature of every tank. The resulting data can be graphically displayed to create a trend chart, day by day or minute by minute, to see where the wear and tear is occurring and fix a problem before it starts. All valves are automated, so that with a mouse click, the engineer can prep the vessel for bunkering, shift freshwater ballast, or blast more cool air to the skylounge on the top deck. In case of an emergency, controls for most main systems, including door locks, the fire-suppression system, and intrusion alarms, are duplicated on the bridge. 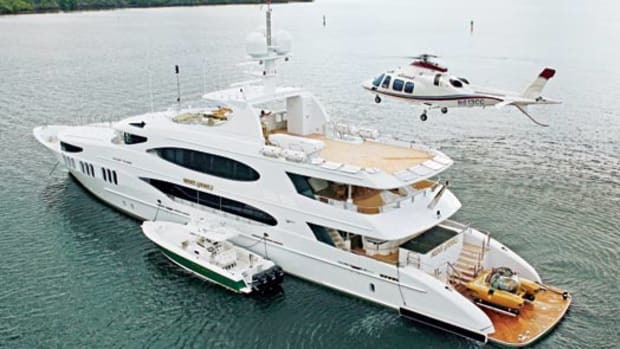 As I stepped out past the teak-decked tender garage aft of the engine room (which has room for two 30-foot runabouts, kayaks, PWCs, and other watertoys), I made my way onto the aft deck to find that the stewardesses had taken away brunch. I couldn&apos;t help but give a sigh—as I suppose everyone does who disembarks Kismet must, whether onboard for business or pleasure—as I trudged through another rain shower, back up to my small gray rental car. 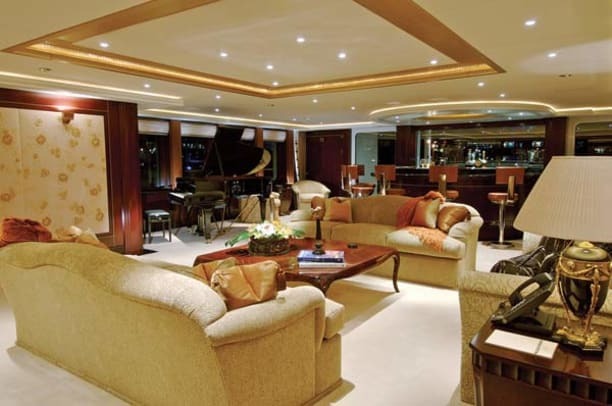 For more information on Lürssen, including contact information, click here. 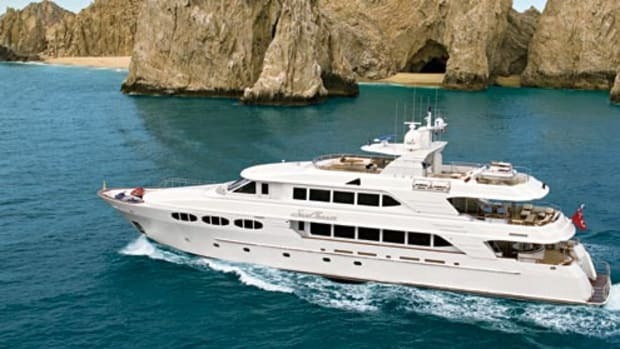 See more photos of the megayacht Kismet, ranked #67 in the World&apos;s 100 Largest Yachts 2007 list. 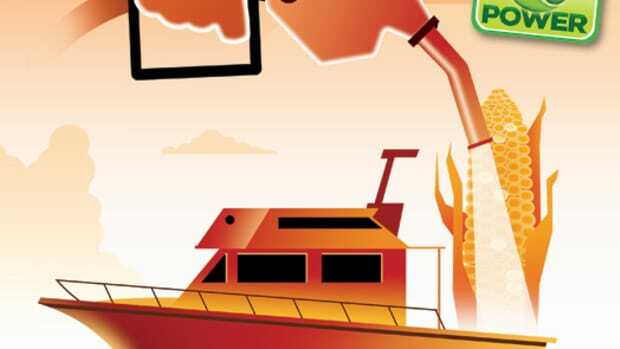 Fuel Capacity: Fuel capacity: 42,300 gal. Water Capacity: Water capacity: 8,460 gal.